Ladies, I just want to encourage YOU today. Your home IS your ministry! What a powerful opportunity we have every single day to serve the Lord...even in what may feel like mundane tasks. I’ve said before “If I’m scrubbing toilets, I’m going to scrub em for Jesus!” May sound lame, but isn’t that what we want to do? And isn't that exciting? 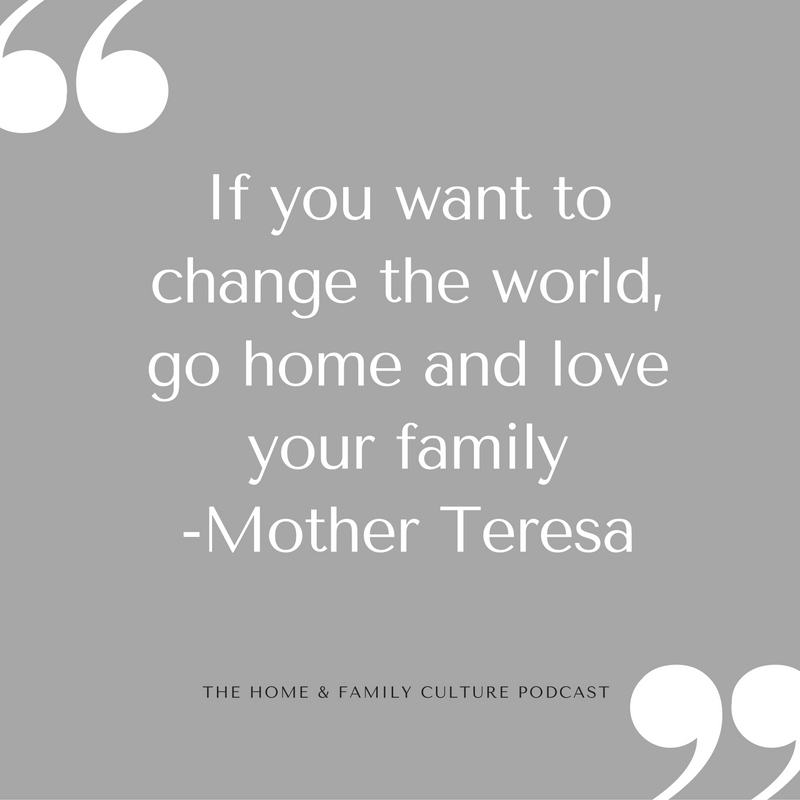 Taking care of our homes & families is such an awesome contribution to the Kingdom that we should be proud of and work heartily in! It may not get all the glory now & may seem like a thankless job, but I feel full confidence we are storing crowns in Heaven as we walk out that great calling. There are a few passages in the Bible that are just for us women, like Titus 2:3-5 that says "the older women likewise, that they be reverent in behavior, not slanderers, not given to much wine, teachers of good things— that they admonish the young women to love their husbands, to love their children, to be discreet, chaste, homemakers, good, obedient to their own husbands, that the word of God may not be blasphemed." We should study those verses & become passionate about them as we pursue our mission to become more like Christ. Being a homemaker- to me, that means your best efforts should be inside your own four walls. If your ministry ever becomes so demanding of you that your own home- your family...husband/marriage, children, health, personal walk...begins to suffer, it's time to step back. We can't let our light shine for others if our lights are burned out, and they can even be burned out by doing "good" things like serving/working outside the home. Do I believe both can be done? Yes. But we have to be super cautious to GUARD our hearts, minds, & homes. You have to take care of your own light first, and the bigger the flame, the more it draws others & more you can share. We are not called to be busy, stretched too thin, or too exhausted for our own family. I have no doubt Satan is using this as a tool of destruction & a sneaky method of getting into families...making us busy, making us feel inadequate & like we aren't doing enough in what should be our greatest calling, by keeping us from finding fulfillment in being homemakers, & in having us pursue things that mean some of our own families' needs go unmet. Let's pursue godliness together by becoming warriors for our own four walls! I get excited at the thought of how we can change the world when our own husbands and children get our most Christ-like efforts. "I want to be respected most by those who know me best." I SO very much needed to read this. I recently quit my teaching job to be home with my first baby. I couldn't love anything more. There are times when I see girl friends around me becoming lawyers and doctors and it makes me feel so inadequate and that I'm not doing anything with my life. Thank goodness for times like thIs when I read your blog and I realize it's just the evil one trying to creep in and steal my joy. If 6 years ago I would have told my engaged self that I would be a stay at home mom/wife serving my husband I probably would have thrown up. Your blog has been such a light in my life and I love reading what you write. Thank you!!!!!! !